On August 1, Silver signed a letter of intent to renew and expand its fleet with up to 50 new ATR-600 series aircraft, with the transaction valuing up to $1.1 billion. 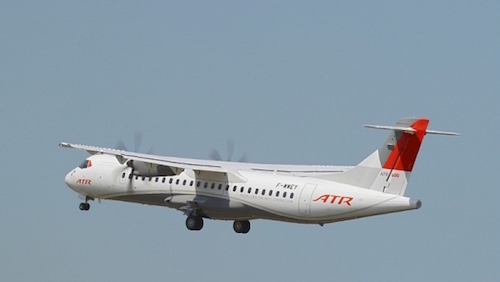 The initial order is for 20 ATR-42-600 aircraft and the agreement also provides Silver the ability to up-gauge to the larger series ATR-72-600s. The firm 20 aircraft will be lease financed by Silver. Silver will take delivery of up to four ATRs this year starting in the fourth quarter following receipt of regulatory approvals. Remaining deliveries of the first 20 aircraft are expected to be completed by the first quarter of 2020. Crew training will be conducted by ATR at its new training facility in Miami, which is home to a new multi-million-dollar investment of a Full Flight Simulator (FFS) for the ATR-600 series aircraft. The new aircraft will replace Silver’s existing fleet of 21 Saab 340B Plus turboprop aircraft over time.